Thank you for subscribing to LapinCare Active Support, a service from Lapin Systems offering proactive, remote detection and identification of common Mac issues. 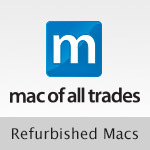 Let us find your Mac problems before they find you. Please read and accept the following points to indicate approval. LapinCare Active Support (LCAS) requires specific software to be installed on my computer which transmits general machine performance data, error, warning, and log files, and demographic information for subscription identification and management. LCAS does not and will not collect nor does any Lapin employee have access to the following types of information or personal/user account data from your computer: file or folder names stored within or outside of any user account; browser history or activity of any kind; documents, photos, music, video, or any other media stored on the computer's internal or locally attached drives. The LCAS software does not have file-level access to any part of your computer's hard drive or memory as that is not a function or feature of this product. LCAS does not give Lapin Systems remote control of your computer, screen-sharing capabilities, or local file-browsing capabilities unless specifically requested, setup, and approved by the end user (customer) in real time. Customers must provide any Lapin employee with computer identification information and dynamic access code for any remote assistance or support session at the time support is provided. LCAS software collects performance, error, and warning data only for system-level services. These include: hardware failures or other defects; hard drive capacity and performance/age warnings; RAID performance and/or degradation; laptop battery lifespan status; software key/subscription or hardware (i.e. AppleCare) warranty expirations; network anomalies; server software error or availability alerts; failed or incomplete backups; automated service or maintenance script failures; malware/virus activity; FileVault status; panic/crash logs; network address and configuration information. I will receive communication via phone or email from a Lapin employee prior to the end of my subscription with the opportunity to renew LCAS service for 1+ additional years or end service. I understand that the subscription price is subject to change, with notice, at time of renewal but cannot change during subscription period since services are pre-paid. LapinCare subscription packages are 24-hour reporting and notification services only. Any recommended repairs or service options are billable separately at our normal service rates. Standard field, remote, and bench service rates can be found on our website at www.lapin.com/service or by asking any Lapin employee.